Are you ever really sure you know what you’re doing? I regularly check in with our investment decisions and, more importantly, what my wife and I are doing as parents. No different than investing, a custom approach is best and kids with their personalities are no different. Admittedly, I’ve taught my kids some controversial things. Today is international bully awareness day, so I thought I would share. My son enjoys hitting and wrestling, my older daughter not so much. So, I’ve told her to tell him to stop and, if he doesn’t, walk away. If he keeps pestering you, then hit him back, just not in the face. I know many don’t believe in violence, but from everything I’ve read on bullying and from my experience, there are people out there who don’t understand words. So I view this as a learning experience under the safety of our home. My daughter learns to stand up to bullies and my son learns that unacceptable behaviour will result in being hit by the victim. Even though their fighting drives me bonkers, to see how they are best friends makes it all worth it. Here they are, my daughter riding my son’s bike, because she got tired of riding her scooter. 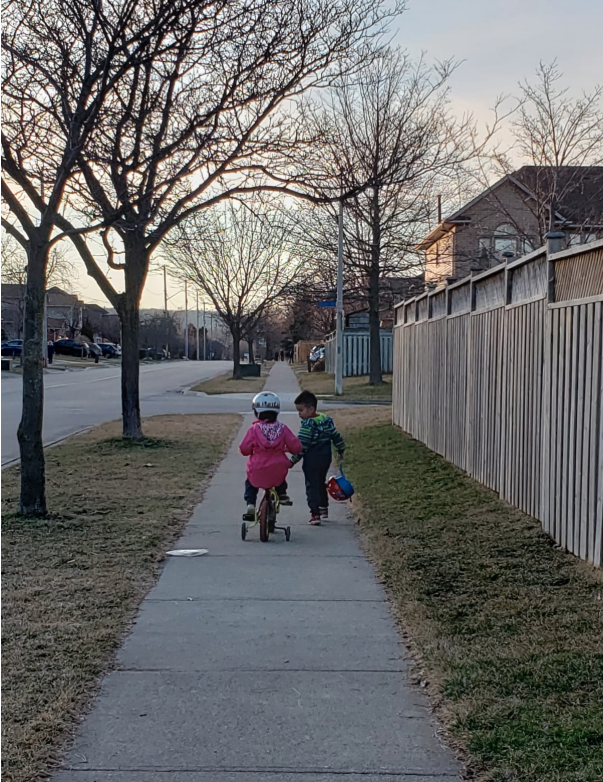 My son is copying me, how I was pushing my daughter when teaching her to ride without training wheels. My family is my motivation to work hard to afford more financial freedom and financial peace. Financial peace is a term I first heard from this week’s guest, who is mega successful thanks to his TV show, The Everyday Investor. He has peace, as he does very little other work, other than starting his own church. He has peace, as he called his phone company to remove the texting function from his phone and he deleted all of his social media. 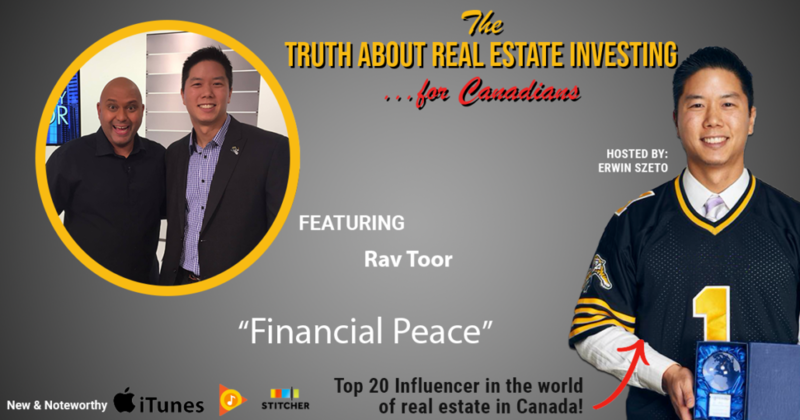 Rav was a Realtor and owned his own brokerage, plus several investment properties, but the lifestyle of hustle and the demanding schedule did not suit him. So he stopped being a broker and sold all his investment properties. Instead, Rav focuses on producing his show and teaching others how to invest passively in land developments. However, by far the majority of his time is spent with his wife and two teenagers. Financial Peace indeed, as Rav is rich, yet his favourite store is Old Navy and the only car they own is not fancy and over ten years old. If you’re interested in learning more about investing in real estate, we have upcoming Street Smart tours of two of the elite 8 towns: Brantford and Barrie. Saturday morning of April 27th, we have the former Economic Development Officer of Brantford leading our tour of potential investment properties. One property will be ideal for the recreational investor and another for more intermediate to advanced. The tour will be followed by a mastermind lunch with fellow local investors, including experts from the iWIN community. Save the date: Saturday morning of May 18th, same idea for Barrie: a street smart tour led by award winning Realtor and investor of 10+ properties, John Beddome. 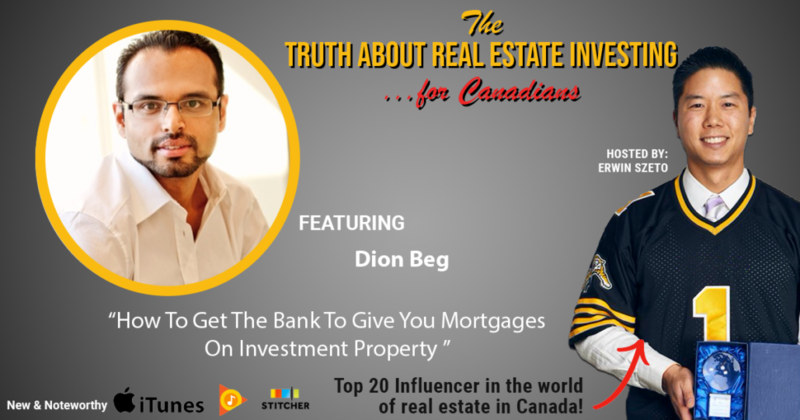 He was a guest on this podcast just two weeks ago, and has been investing in Barrie since 2007. John will be hosting a tour of properties, followed by a mastermind lunch with fellow local investors, including experts from the iWIN community. 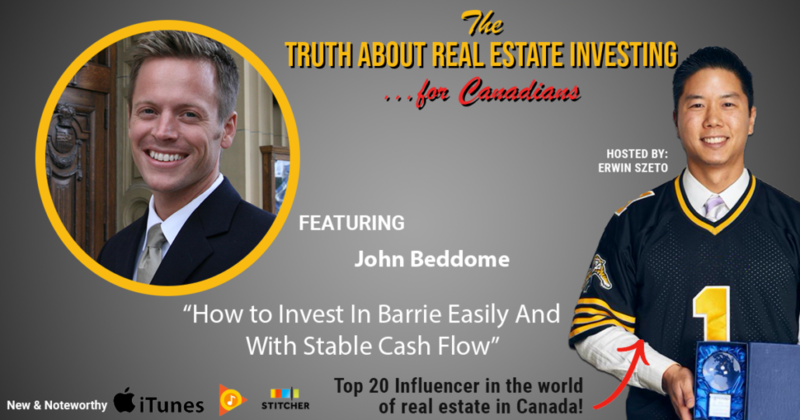 Save the date for now and stay tuned for how to buy tickets which will be in the show notes at the http://truthaboutrealestateinvesting.ca, or get on the email list so you are emailed when new episodes are released and informed when we host events. The 40th birthday that never ends…. My clients, I call them the infill boys: they buy houses with large lot sizes and build a 2nd building on the same property. They invited me dinner, a Raptors game, post-game drinks, midnight Chinese food, followed by a night cap of bubble tea because, why not? My clients are Andy, Charles and Steve. They are my clients and, more importantly, they are my friends and it’s so great to have like minded friends. We can share business ideas and goof around so things NEVER get boring. At dinner, Andy was telling me about an opportunity to turn a suburban bungalow into a three family home with basement apartment and rear edition. I know a little about investing, so I have questions around utilities servicing and parking, to which Andy has answers. We even used whatever was on the table to visualize the plan. Here, I’m using my phone to represent the addition. It was the rear addition to the napkin (main house), but now it’s the second storey to the main house. Mind blown. Imagine buying a house for $400,000 and being able to convert it into a four family home for under $400,000. How to better systemize your real estate business. And not just teach you – but show you the best systems by actual professional investors. We’ll have best practices for bank accounts, receipt keeping and filing, filing systems for both paperwork and online record keeping. We could go on!!! 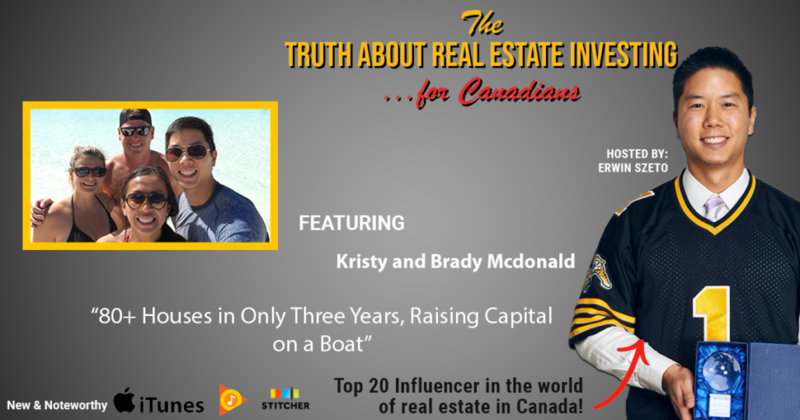 – Kristy Allison McDonald, owner/operator of BK Real Estate with an 80+ property portfolio including lots of flips and legal duplexes. 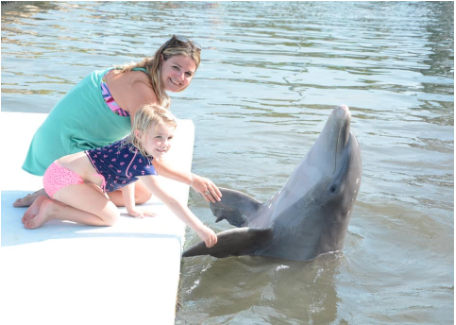 Kristy and husband Brady live on their new 50 foot boat in the summer in the Bahamas. That’s how systemized their business is. 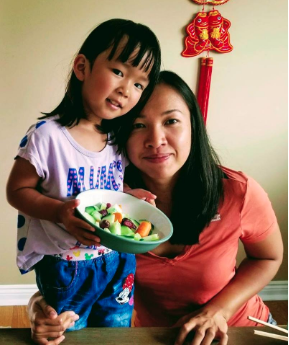 – Cherry Chan, Real Estate Accountant, investor of a 10+ property portfolio, and Accountant to many of the top investors in Ontario. We got her in the middle of tax season at a massive expense, of course, so you all can benefit. As per iWIN policy, we learn from the master class experts. Doers. Not Theory. I have also asked Russell Westcott, JV Jedi, to offer more bonuses to attendees. I’ve negotiated, not ONE but TWO legal document joint venture agreements and the related checklist. Russell has paid his lawyers a rate of $500/hour to prepare these documents and these will be free to attendees. Attendees are saving Thousands with these documents alone. iWIN members: this meeting is included in your membership and will be recorded for your future enjoyment purposes. I’m getting a lot of emails and seeing it all over the investor Facebook groups, folks are experiencing basement leaks. I’ve invited my secret contractor, friend and client, Manny Cabral, on the show. Just to warn you, he’s ultra-busy and selective of who he works with. He’s earned the right, as he’s so busy with his own portfolio and existing referral business. Anyway, Manny is a real professional contractor. He used to manage government renovation contracts for government buildings and schools. He’s used to large scale projects with lots of regulation and moving parts, which makes him well suited to be a general contractor, investor, and house flipper. Manny, plus his two sons, are members of iWIN and he used to sing and play guitar in a travelling rock band. As the serial entrepreneur that he is, Manny also collected and sold Corvettes. 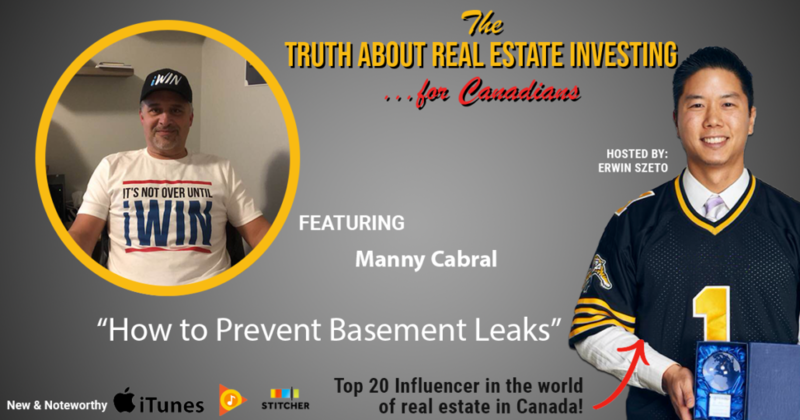 When our dollar was near par, Manny was the biggest reseller of Corvettes in Canada, but that’s all boring compared to leaky basements, so have at it Manny! Every investor’s greatest fear is buying a lemon of a property. A money pit, if you will. I made that mistakes way back when I started. We were offered what every investor wants, an off market deal! We made an offer well below what the seller’s Realtor thought they could get and, boom! We got ourselves a money pit. The house had a log foundation and the driveway was sloped to direct water into the basement window and onto the dirt floor of the cellar. The water that came out of the taps was brown from time to time… I learned a lot from that house. Mistake #1 – We didn’t get an inspection. The brown tap water is a symptom of galvanized steel plumbing. An old type of plumbing known to leak, hence the insurance companies I use today won’t insure it. If you find it, you better have a plan to replace. No insurance = No mortgage. If you were going to renovate a house with galvanized steel, would you get permits and update the plumbing to today’s standards when renovating the bathrooms and kitchen or would you leave the old plumbing and just replace the bathroom and kitchen? A mastermind member of mine, let’s call him Brian, called me and asked my opinion. He had an accepted offer conditional on home inspection, on a nicely renovated property BUT the home inspector found some improper electrical and the bathroom and kitchen fixtures were connected to galvanized steel plumbing. The same stuff I mentioned earlier that insurance companies will not insure. There were no permits taken out, obviously. What would you do? You bought a house you thought would not need renovation, with a new kitchen and bathrooms, now you find out the electrical is problematic and the plumbing all has to be redone. Doesn’t that feel like bait and switch? Counter with the seller agrees at their own expense to get electrical and plumber permits to fix all the problems. Get a reduction in price to reflect the cost of remediation. Not my ideal choice, because now you have to manage contractors and have a vacant property during the renovations. This was Brian’s Realtor’s preferred option. A couple lessons here. Trust no ones’ renovations and workmanship, always get an inspection unless you plan on gutting the place anyways. Even brand new, I had my new construction houses in Brantford inspected. They had passed their electrical inspection, but my inspector found a mistake in the arc fault circuit interrupter that should not have passed inspection. The seller fixed it at their expense. My inspector also pointed out how the step was missing off the rear patio door, something required to obtain an occupancy permit allowing people to actually move in. Houses are a big investment, an ounce of prevention is worth a pound of cure. Get an inspection. On the other side, when you renovate, don’t cut corners. You don’t want that as your reputation, as the investor community is a tiny one. As Warren Buffet said, It takes 20 years to build a reputation and five minutes to ruin it. If you think about that, you’ll do things differently. Our next Infinity Wealth Investment Network, or iWIN for short, meeting is here in Toronto on March 28th. If you’d like to come, you have to act fast as these events sell out. While my wife Cherry and I were on a cruise ship in the Caribbean, working the whole time, we fit in a podcast with our new friends Kristy and Brady Mcdonald. With partners who contribute both the cash for down payment and renovation, plus getting the mortgage, they have been able to acquire over 80 properties in just a few years. Some were flips so they only still own 60+ properties, depending on when you talk to them. Pay special attention on how they are able to manage both the acquisition, renovations, and all those tenants. Also note that the Mcdonalds now spend a lot of time on their 50 foot boat in Florida and the Bahamas, cruising and exploring uninhabited islands. Their boat is called Living the Dream. Kristy also survived a tragic boating accident as a teenager and lost her arm in the process. She’s no victim though, as she practices a positive mindset. I give you, Kristy and Brady Mcdonald. What can I say? As any of you regular listeners know, I’m far from normal… but you know what I’ve learnt about spending time around successful people? We’re all sort of crazy. Anyway, Cherry had a glass of wine, a shot of tequila, loosened up, and felt like asking me whatever she wanted. If you still trust me afterwards to help you build your wealth through real estate, I’ll be at the next monthly #iWIN meeting on March 28th. At our last event, we had two of the nicest people in Stuart and Denise MacPherson come all the way from Ottawa to share how to raise money with RSP’s. We also had master of raising capital, Russell Westcott, in the house answering your toughest questions on the subject. Russell walks the walk too, having raised 7 figures just last week. That’s capital, not mortgage money, as some people on the social media are including in their definition of other people’s money. 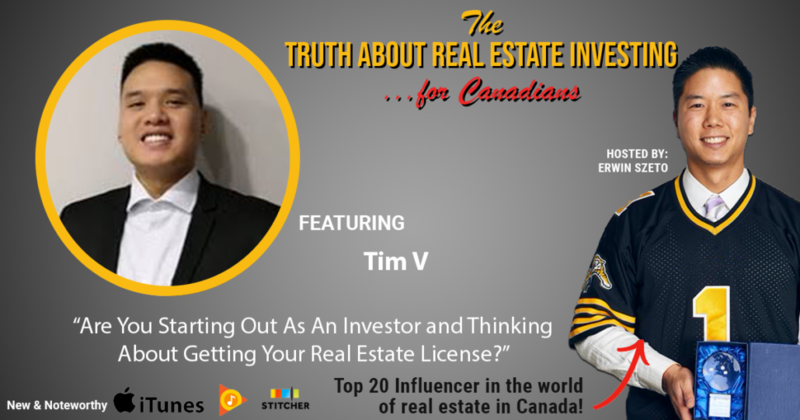 We only bring the best of the best guest speakers to #iWIN and Russell qualifies as the best selling co-author of Real Estate Joint Ventures: The Canadian Investors’ Guide to Raising Money and Getting Deals Done. These are the things you CAN’T learn in a book or podcast . . . These are the things we bring to the table for our Freedom 45 people. My goal for our clients is not to teach them more stuff… it’s to make them more wealth. Anyway, if you’ve had an interest in real estate, let me know. I’ve got a killer Freedom by 45 blueprint. Don’t worry if you’re over age 45 or close to 45, our blueprint works for anyone looking to make more money and build wealth. Even if you think it’s too late for you, we can help you help your children and grandchildren in building more wealth. 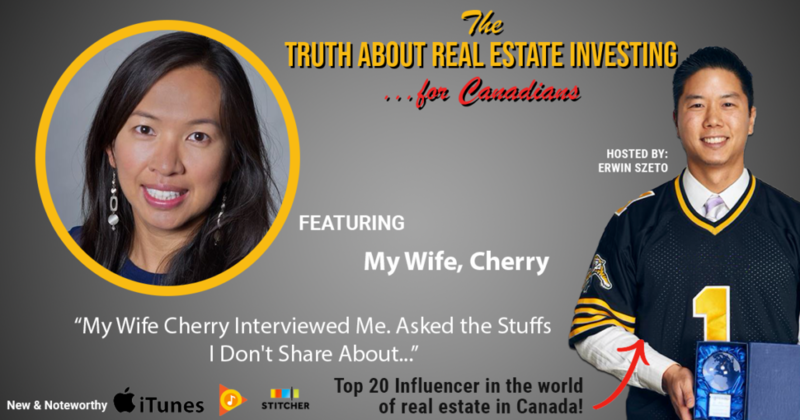 Without further ado, I give you my lovely wife, Cherry Chan of www.realestatetaxtips.ca, asking me crazy questions. New record: 24 years old, first time buyer, went firm on an investment property and we couldn’t be more proud. His name is Joe and we’ll be having Joe on Facebook live for iWIN members and we will share the recording for the podcast and on YouTube. The number one regret of real estate investors is they wish they started sooner. Note this is Joe’s first property ever. We do have other investors who bought investment property at 24, but they already owned their homes. Mark my words here and now, Joe will be a future real estate millionaire and, if he chooses, a multi-millionaire, and iWIN members will be here to support him. 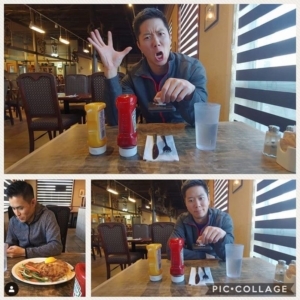 If you want to meet Joe and learn about his duplex-ing strategy (with the help of Andy Tran and Coach Tammy DiTomaso), stuff we teach all the time at monthly iWIN meetings, then come check us out, assuming we have not yet sold out. In other news, I went to the casino on Saturday and came out on top!! After the sold-out real estate development tour in St. Catharines on Saturday, a couple of us played hooky and went to Fallsview Casino. Gambling stresses me out. I don’t know what it is, but I get so stressed and I don’t enjoy it, but I’m happy to enjoy an adult beverage or three while watching my friends play. Plus, I’m extremely risk averse. I prefer my money making me money, rather than losing money. That is the number rule in Warren Buffet’s playbook after all. Our group of five lost a combined $1,800, or an average of $360 per person. Since I didn’t gamble, the average loss is really $450. Tammy Ditomaso, who’s on my team, broke even, so really the losses were $600 on average. That’s not even a tax deductible expense!! Patooey!! Since our team had their wallets handed back to them empty, I picked up the tab at dinner. And since dinner was with a group of clients, that would qualify as tax deductible client entertainment. The day was super fun, hosting 40 investors to tour an actual development. 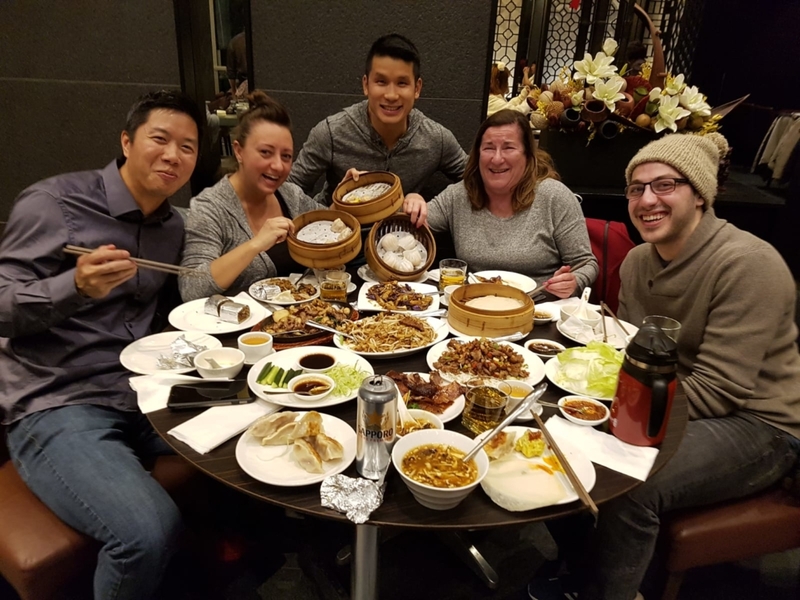 There were no sore losers from the Casino, and who doesn’t like a decadent Chinese dinner, complete with Peking duck? Next time though, consider investing your money in hard assets or a small business for yourself, which leads up to this week’s guest, Tim. I get it so often, I invited a young gentleman named Tim to ask me his questions, and record it so I may share this for anyone in the same boat as Tim. For those wanting to get a real estate license to get access to the data available to Realtors, over 50% of agents do 0-1 transactions per year. Don’t you think you could hire one as your assistant to send you reports and the data you need? That would be considerably less expensive than the hundreds of study hours needed to obtain your license, plus the couple thousand dollars per year in fees to maintain your license. Food for thought and by the way, don’t listen to me for career advice or legal advice. These are merely my two cents on the subject. Secondly, I learned in the methods of business, to not follow one’s passions. The market does not care if you’re passionate about real estate. I got my real estate license back in 2010 because there was a gap in the market. There was no one focused on guiding investors in Hamilton at the time. I was part of a fair-sized investor network and investors there were demanding the same. I am a Hamilton investor, I was good at it. I’m a pretty good Realtor too, hence the awards you can see behind me. There was demand and no one was supplying the service to fill such demand. That’s how I made the business decision. If you’re looking to practice as a Realtor, I suggest a similar approach to evaluating the supply, demand, and competition in your target market. A great place to start would be like I did, becoming a member of group of like-minded real estate investors like my own group, the Infinity Wealth Investment Network. The iWIN group meets on Feb 28th and four weeks later on March 28th. If you want to be a investor, I can’t recommend enough that you spend time around local, successful investors. If you want to take an even deeper dive into our Freedom 45 program, we can create for you a business plan that can truly give you time and freedom to do other things you love. If you’re looking for a get rich quick scheme, this isn’t for you. Building wealth is a marathon, not a sprint, and playing for the long-term takes a lot of the risks out of investing. No different than the Casino, but I despise risks to my money. If you’re looking for a “work hard and build an awesome portfolio” scheme, then I’m your man! Enough from me, I give you Tim, a 23 year old recent graduate with a Psychology degree, $40,000 of student debt, and big aspirations for what’s next. http://www.truthaboutrealestateinvesting.ca/wp-content/uploads/2019/02/Tim-V.png 630 1200 Erwin Szeto http://www.truthaboutrealestateinvesting.ca/wp-content/uploads/2017/06/TruthRectangleLogo.png Erwin Szeto2019-02-26 23:02:522019-02-26 23:26:03Are You Starting Out As An Investor and Thinking About Getting Your Real Estate License? Are you surviving the snow, ice and cold? What better time than now to get away to Florida, no? This time next year I plan on go back stateside for the 10X Growth Conference as I just got back and it was awesome. Here are my 🚨Top 3 takeaways from the first day and a half at #10xgrowthcon . 📐1. More attention to digital assets, specifically websites, thanks to how tos by @tailopez. Check out his website if you want a great example. 🌟📈2. Scaling up is actually a way to reduce competition. Many have yet to learn the skills or raise the capital to do so, so scale up. 🎥3. Share more via video what I’m doing to help clients, members of #iWIN and, most importantly, my charity the @hamiltonbasketbrigade, because this isn’t about me. It’s about providing 1,000 families each year their best holiday ever. This week’s guest is excellent, as always. He’s a coach, a real estate business owner with property management and home construction businesses with 18 staff, and he’s transacted on over 200 properties since 2003. 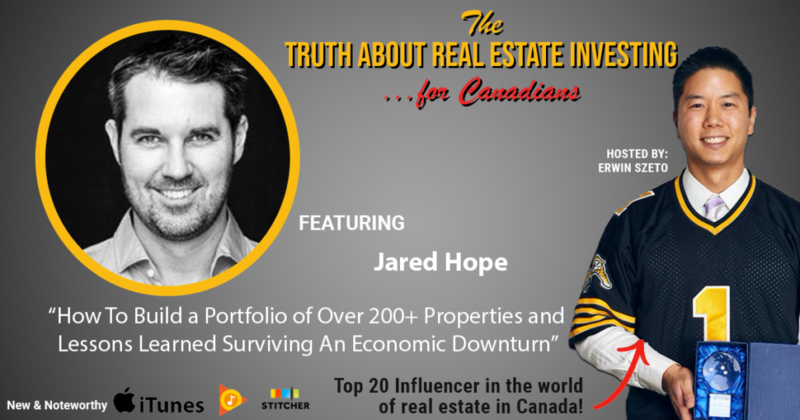 His name is Jared Hope of Tilt Property Group and he’s seen it all, from boom, to bust and 18.5% vacancy rates in the Alberta real estate market. Jared even shares the moment where he almost lost it all to bankruptcy, having to rely on a stranger to pay for his family’s grocery bill. Listeners, especially those in Ontario and BC, we’ve been on a very good run since 2008. There will be a downturn and Jared is here to share lessons on where he went wrong in the early days building a massive portfolio, what he would do different to insulate himself from six figure cash calls, and what experts to listen to… I have five pages of notes and know I would have 10X that if I were listening and not interviewing. Enough from me, I give you Jared Hope. We’re already discussing to have Jared as our May speaker at iWIN. Stay tuned! I bought a house two weeks ago and inspected it last week. From the pictures and description of the house, I estimated $100,000 to get the house rent-ready. Sadly, my renovation estimate was accurate at just under $100k. I’ll allow myself a pat on the back for sadly being right about a lot of money going out the door. I bought it without conditions too, which I do not recommend. Please don’t do what I do. You’ll hear in a future podcast episode how Cherry, my wife, is not too pleased that we didn’t have an inspection condition and I didn’t even see the house! With the location being so close to a hospital and university, I’ll see what my options for a furnished executive style rental are, as I’d like to avoid future by-law issues with AirBnb and student rentals. This deal wouldn’t have been possible without my fellow investor friends who all happened to have been on this podcast: Aaron Moore, Susan White, and Ryan Carr. They each inspire me of what’s possible. Aaron provided me the most tactical advice and answered my panicked phone calls. Susan too. This is the ugliest house I’ve bought in a while, but what I’ve learned is the uglier the house, often the better the deal is. And it’s great to have friends you can call in a panic. Speaking of real estate friends, you can meet them too at the next Infinity Wealth Investment Network (or iWIN for short) on February 28th. We have confirmed our location at The Vue where the Royal Woodbine Golf and Country Club hosts events. If you’ve ever been to a wedding at a nice golf course, that’s what this place looks like, and it’s located just east of Pearson Airport. Our speakers are best selling author, and former Vice President of the Real Estate Investment Network, and founder of the Raising Capital Academy, Russell Westcott, where he is doing something completely different. Investors are invited to submit videos for Russell and I to review and choose from. Then on Feb 28th, Russell will coach this lucky individual LIVE. Russell is the Joint Venture Jedi, so let’s put his teaching skills to the test! People rave about Denise and Stuart’s presentation on RRSP investing and they are here all the way from the Nation’s capital in Ottawa to share. Plus interest rate and financing update from Butler Mortgages, and rent and resale price updates from the League of Extraordinary Real Estate Professionals. Tickets are available at www.infinitywealth.ca, we sold over 100 tickets in a week and just released another 50 now that we have our venue locked down, so please don’t wait and buy your tickets today. Our last waitlist was 71 people…. On to this week’s guest who is NOT a real estate investor but a remarkable human being nonetheless. 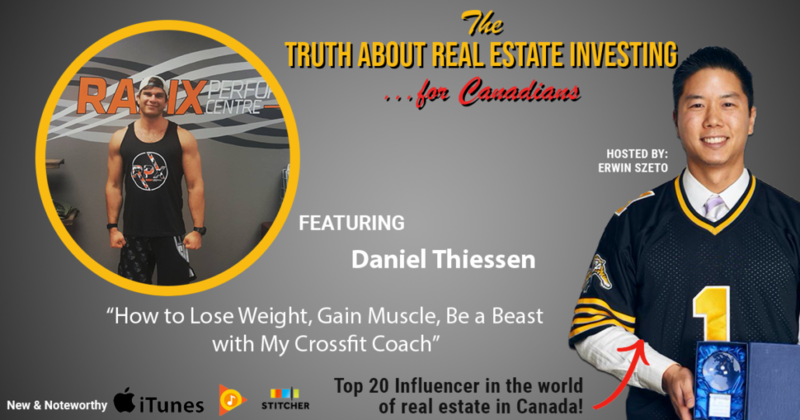 Not all lessons are learned in the world of investing, and my conversation with Dan Thiessen, owner of RAdix Performance Centre in Oakville, Ontario, my Crossfit gym, has parallels to the business/investing world. You want to be elite? The path is quite similar in athletics when compared to investing, and Dan is an elite athlete. He’s grown up playing sports at the triple A level, he’s competed at the provincial and national level in different sports, fast forward to today, he can handstand walk for 100 feet and lift a 280 lbs barbell from the floor to over his head in one movement. In this episode, Dan has advice for how to get started and many best practices to maintain health, fitness and performance. The perfect thing to listen to right now if you’re suffering from the winter blahs and need motivation. Personally, I’m near the best shape of my life. The best was a few months ago before my November holidays, but I can still beat up any previous version of myself.